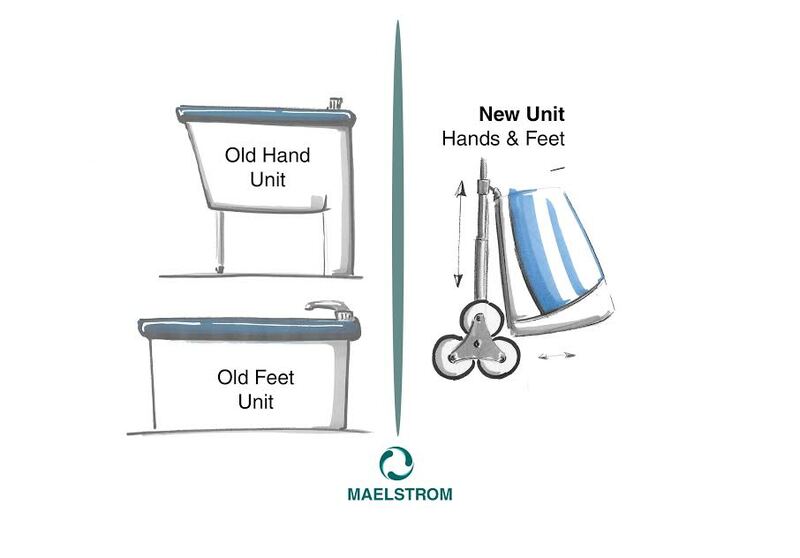 Maelstrom is a very powerful water motion and similarly our team is focused on changing the way people see the whirlpool, the equipment that we were challenged to revolutionize. We are now working on a trolley bag inspired product that will serve for both superior and inferior limbs and will reduce the water used up to 60%. their quality of life and now we are glad to be a part of it!